I’m a blocker. I block most everything that comes off my needles and hooks. Slouchy hats, tams, berets, can be tricky to block on a standard pin-board because the don’t really lay flat. They are three dimensional. If you’re a blocker like me who feels compelled to block everything, you need a different method..
Before my hats are blocked they look less than respectable. They need the discipline of a good blocking. There are different ways to get a hat blocked. I’ve read in plenty of places to use bowls or pie plates. That would probably work for me if I had bowls (and plates) in a dozen different sizes. But I don’t. So I use discs cut from cardboard. Then I can have a hat blocker in any size I need! Before I show you how to make’ em and use ’em I should admit that, no, cardboard isn’t the best material for these. They get bent, they get damp, they get a little mushy and then I have to make new ones. But I always have a cardboard box or two in my living room…. 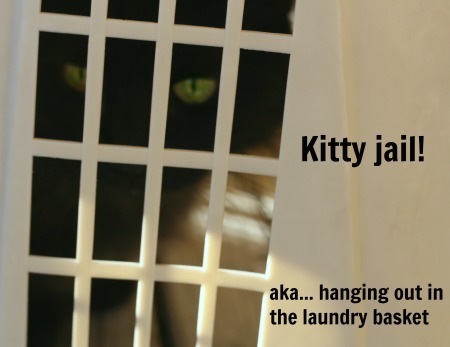 because I have two cats… and they want boxes to play in… and I cater to their every whim. So when one of my hat blockers gives out, I snag a new cardboard box and get to work. If you want to make some that will last, try those hard, plastic place mats for kids. I’m sure those would work just fine. 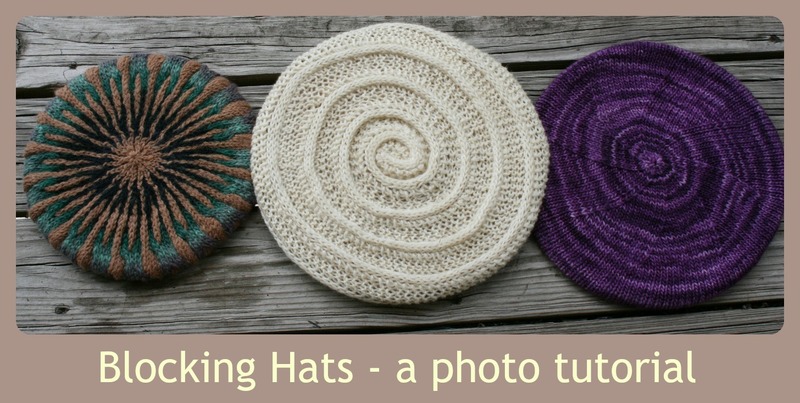 10 Comments on "Sunday Stitch – How to Block a Hat"
You are very welcome! Have fun blocking all your hats, lol. I knit a new beret every year, whether I need it or not. I simply use the same pattern and come up with a different design always using the instructions from Anne Budd’s Handy Book For Patterns. Therefore, the same dinner plate always works for blocking my annual output. That’s a good system you have there! Great tips as usual. Thank you! Nice hats! I especially like the colors you used in your design on the left. 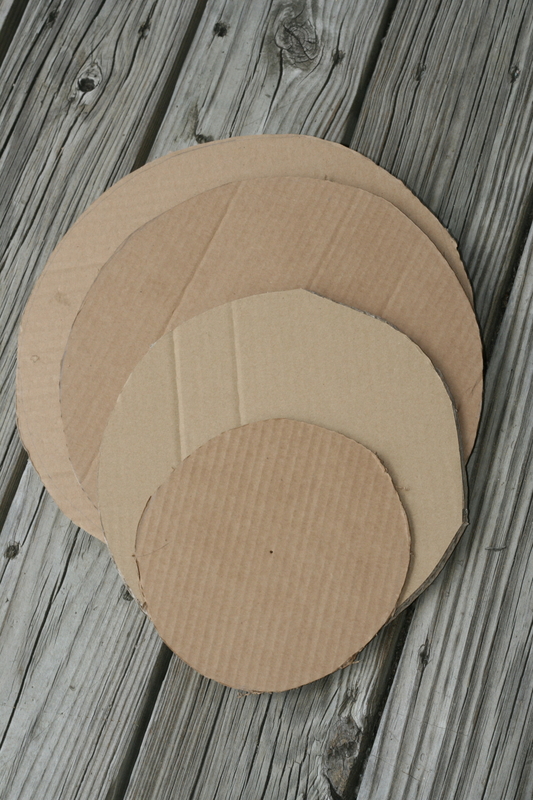 And the hats certainly do look more beautiful when blocked – thanks for the tip on the cardboard! I don’t really need to block socks but it does show the stitches off better, so I do it if the socks are meant for a gift. I made a couple of coathanger feet that do the job. Now I’ll remember the cardboard option, too. Socks are the one thing I don’t block. Don’t tell anyone. 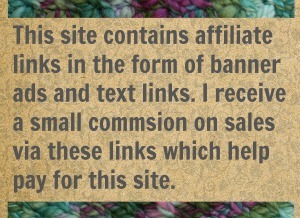 Its not that I think they aren’t worth the effort, its that I LOVE handknit socks and I can’t wait. I finish ’em and they go right on my feet.